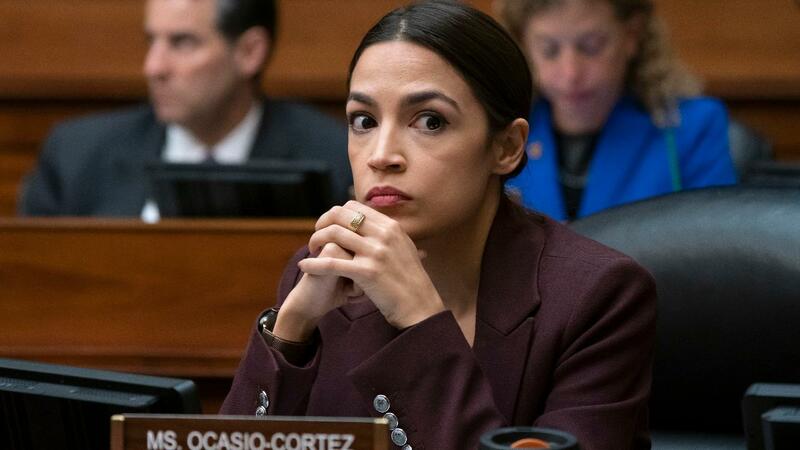 Rep. Alexandria Ocasio-Cortez, D-N.Y., said that Republicans in Congress stand by President Trump because they&apos;re in a "hostage situation," and that if a vote to impeach the president were to arise, she&apos;d vote yes — "no question." Speaking to Rolling Stone in an interview published Wednesday, the freshman rep said Republicans are no longer "in the realm of politics," and continue to support Trump, which she claims is "an unacceptable position." "There are a lot of Republicans that know what the right thing to do is — not just on impeachment but on a wide range of issues — and they refuse to speak up," Ocasio-Cortez said. Congresspeople who vote with the president, she argued, despite saying they don&apos;t share his views, need to be held responsible. "The problem is that if they vote the same way, what does it matter? I don’t care what’s in your heart if how you are voting is the same as someone who is actually racist. At the end of the day, they think that their intentions are gonna save them, but the actual decisions you make matter," she told the news outlet. "I am tired of people saying, &apos;I’m gonna vote the same way as bigots, but I don’t share the ideology of bigots.&apos; Well, you share the action and the agenda of bigots. We need to hold that accountable." One of the youngest women elected to Congress, Ocasio-Cortez said that without question, she would vote to impeach the president. "I don’t even know why it’s controversial. I mean, OK, it’s not that I don’t know why it’s controversial," she said. "I understand that some people come from very tough districts where their constituents are torn. But for me and my community in the Bronx and Queens, it’s easy."